The holy pilgrimage to the ice-lingam of Lord Shiva, Shri Amarnath Yatra 2019 is all set to start from 1st July 2019. The first batch of pilgrims will start the yatra on the auspicious day of Jyestha Purnima, as per Hindu calendar. This year the yatra will be open for 46 days, concluding on Shravan Purnima (Raksha Bandhan) on 15th August, 2019. The registration process for Amarnath Yatra 2018 started long back on March, allowing the daily limit of 7500 pilgrims to undertake the yatra on two routes excluding Yatris who would travel by helicopters. Preparations of the Yatra are being made amid strict multi-layered security arrangements by the authorities including the Army, CRPF, Sashastra Seema Bal (SSB) and the Jammu and Kashmir Police. The Central Government of India on request of Shri Amarnath Ji Board has deployed 80 additional paramilitary companies in Jammu and Kashmir. Of the 80, 35 will be in the Jammu region and 45 in the Kashmir region. Additional security measures are taken for nightfall. It has been decided that no vehicles carrying Yatris will be allowed to pass the Jawahar Tunnel on the Jammu-Srinagar National Highway after 03:30 PM. This measure has been taken so that the yatris reach the Baltal base camp within seven hours from the tunnel and in no way have to make a night halt midway. Shri Amarnath Yatra Board has also come up with a revised Action Plan for the conduct of Yatra 2019. These measures are particularly for the arrangements which are being made for providing medical care, sanitation facilities, and installation of railings at all vulnerable points along each of the two routes. Special care is also being taken to preserve the environment of the Yatra area by ensuring removal of garbage in a scientific and environment friendly manner. Planning Amarnath Yatra? Here is complete details that help you how to plan for Amarnath Yatra 2019. Amarnath Yatra 2019 is accessible from pilgrims both by road and by helicopter. 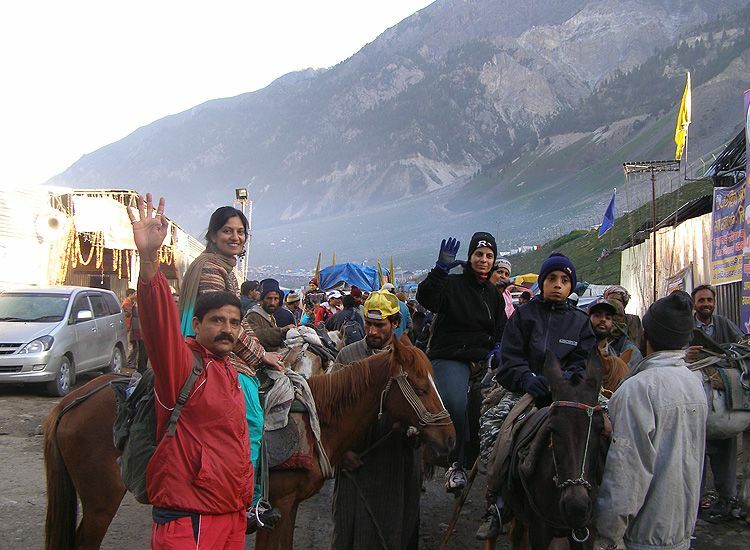 There are two routes for the Amarnath Yatra: Pahalgam-Chandanwari Route and Sonamarg-Baltal Route. The road route has been made easy and comfortable despite of the long route, high altitude and the uncertain weather. Amarnath Yatra by helicopter is an easy and time saving alternative. Helicopter tours also follow these two routes- from Baltal and Pahalgam. One can board the helicopter from any of the locations and get a drop to Panjtarni helipad, just 6 km away from the Amarnath Cave. This distance can be covered on-foot, on a horse or a palki.